Privacy abounds in this gracious ranch style home situated at the end of a quiet cul-de-sac overlooking protected wildlife habitat & nature preserve. 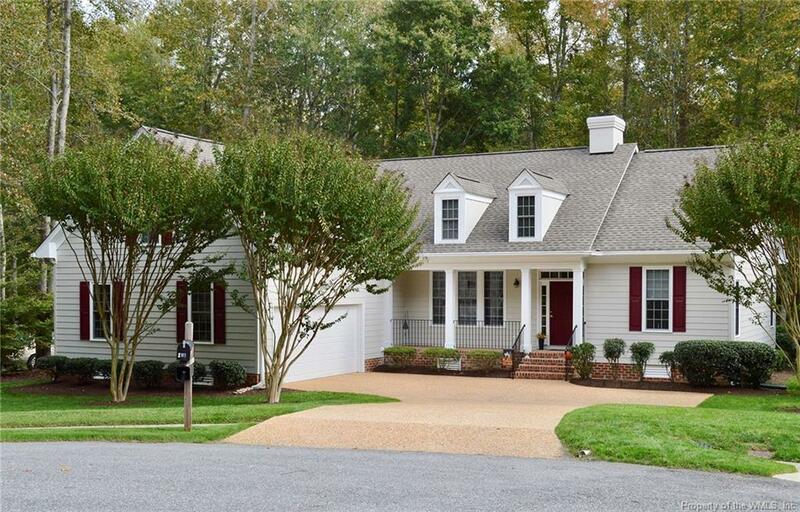 The home is meticulously maintained w/ a desirable flr plan designed for 1 level living. Upon entering the foyer, youâll notice the abundant natural light & great flow for entertaining. The home features a bright formal DR w/easy access to the kitchen. Entertain friends & family in the great rm & sunrm w/ cathedral ceilings & a double-sided fireplace. With floor to ceiling windows, the sunrm takes full advantage of the picturesque views. The kitchen is the heart of the home w/hdwd flrs, gleaming granite counters, a granite island, large pantry, ample cabinetry, tile backsplash & light filled breakfast nook. Just off the nook & sunrm, the porch makes the most of the natural surroundings. The spacious master is a relaxing retreat. The ensuite bath offers his & her sinks, a large vanity, walk in shower, soaking tub, ceramic tile, WIC & linen closet. "Subject to a ratified contract with contingencies. Owner wished to continue to show the property and will consider other offers."